Chain lubrication- a revolutionary innovation! 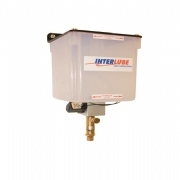 Interlube Systems based in Plymouth UK has just announced the launch of RotaLube a revolutionary innovation in chain lubrication systems. Many plant maintenance engineers bemoan the fact that keeping expensive chains effectively lubricated is a problem to which there is no wholly satisfactory solution. Lubrication methods range from the “man with a brush or oil can” to complex plc controlled spray systems, but often the lubricant never seems to get exactly where it is needed. Traditionally there have been four main chain lubrication methods all of which have functional issues. The lubricant is either applied by hand or spray can. This method is costly, and can be erratic, because they depend exclusively on the human element to ensure that the lubrication is carried out. It is often the case that the chain is over lubricated when a lubrication schedule takes place, but, critically the film of lubricant is not maintained in-between lubrication cycles. Often seen as a step forward from manual lubrication, the “drip feed” solution introduces a degree of automation, with a pump delivering a measured quantity of lubricant. The “problem” with “drips” is that they vary in size and trajectory!! The part of the chain that requires lubrication may not always be the location where the drip lands! The potential for having lubricant in unwanted places is significant and costly. Promoted as a further “step-up” - the static brush coupled to a pump which controls the frequency and volume of lubricant delivered, still leaves the customer with problems. On installation the trials need to be rigorous as the brushes are vulnerable to damage. Additionally, this method demands regular and timely maintenance, as the application brushes can clog with dirt from the chain and the bristles often wear at unpredictable rates, This can leave key areas of the chain out of contact with the lubricant. In certain environments the brush will compact debris into the chain thereby preventing lubricant penetrating the articulating parts of the chain. 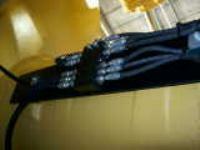 Currently the most commonly installed lubrication system for chains on large installations. It is commonly very expensive to install, often involving a complex plc to control both the timing and volume of lubricant. Extensive pipe-work is also often required to attempt to ensure that the lubricant goes where it is required, and that not too much of it goes “elsewhere”. (A difficult thing to control!) Variable chain speeds cause these types of system to miss the vital lubrication points of the chain. On all of these systems there are also a number of common issues. 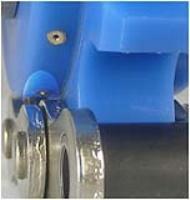 “Over lubrication” can cause the chain rollers to slide leading to “flat spots”, which can cause the rollers not to roll. This can also causes product contamination and environmental issues – not to mention the wasted cost. RotaLube, the patented system from Interlube Systems has none of these drawbacks. It offers a totally unique and precise method of applying the right amount of lubricant to exactly the right place on the chain no matter what the speed and size of the chain and how frequently the speed varies. 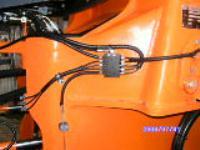 Please send me more information on Chain lubrication system by Rotalube.